This special edition of Ride Africa is exclusively for inspiring women. 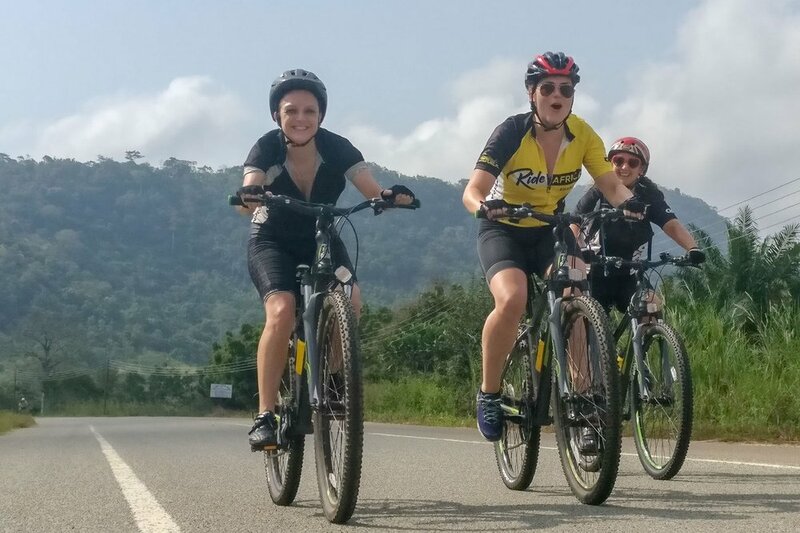 Join a group of determined, inspirational women cyclists on an epic adventure. 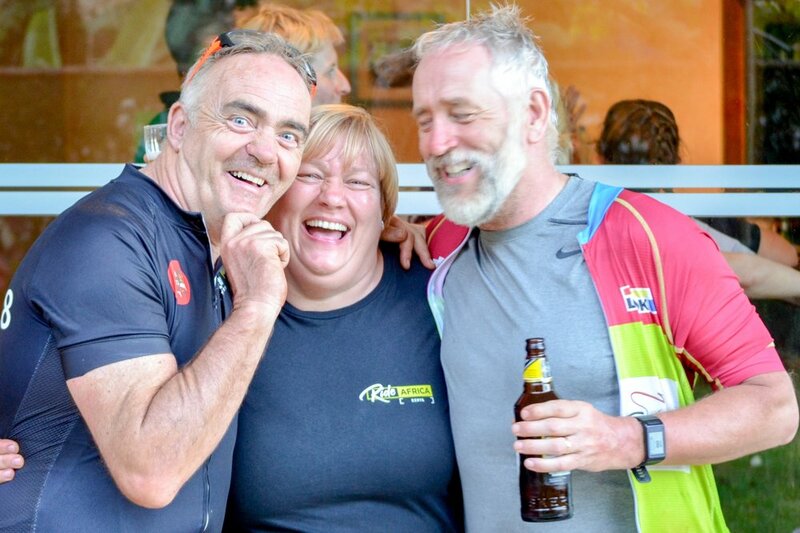 You’ll train hard, fundraise creatively and build relationships that last a lifetime. 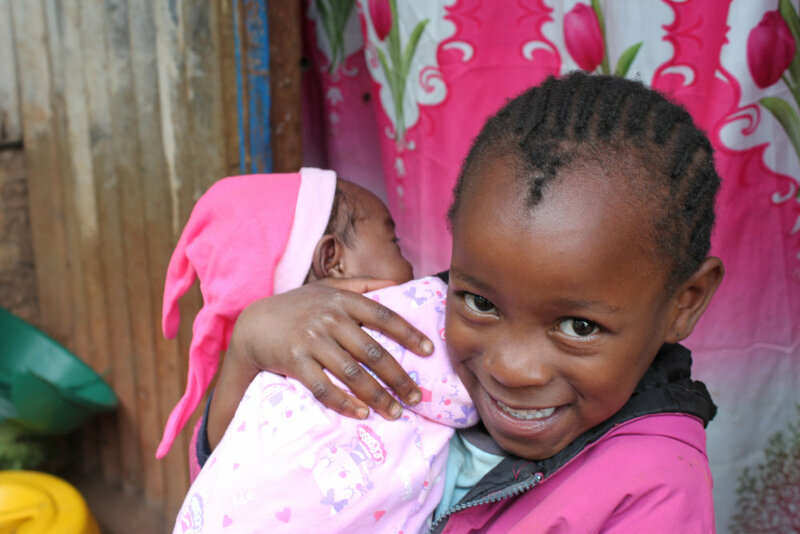 Together, you’ll meet the women you’re raising money for face-to-face in a visit to Child.org’s projects in Meru. 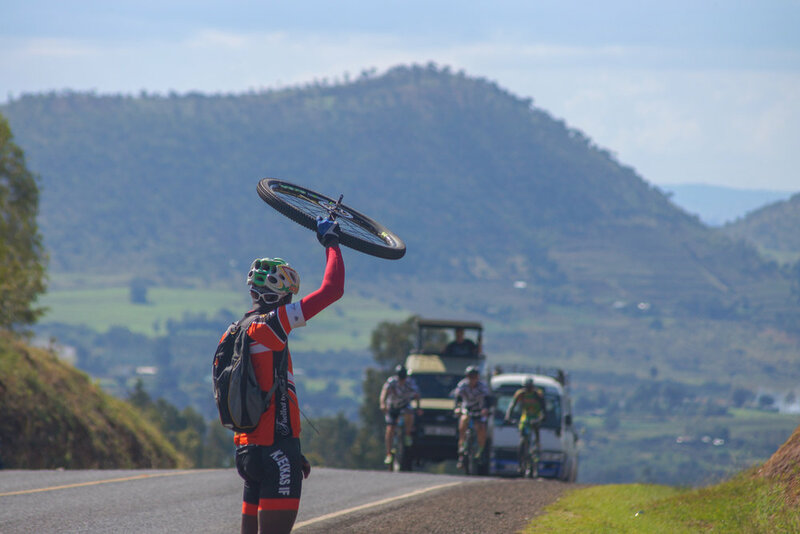 Our all-women ride offers exactly the same epic, heart stopping, beautiful 450km route as our regular Kenya ride. It’s a tough route, but you don’t need to be an aspiring pro-cyclist. Anyone can tackle Ride Africa, with a little training. 6 days that will change your life. Be within the first 25 riders to sign up! Just a £500 deposit required for now. If you'd like us to give you a call and chat about it. Keep up to date with this ride, and be in contact with us. Our pack of riders sets off from one of Kenya’s most stunning sights – Hell’s Gate national park, named for the intense geothermal activity there. Part of the Great Rift Valley, you can see for hundreds of miles in every direction. Arriving at Lake Naivasha soothes you as you wallow with your fellow riders in the shelter of the olive trees, spotting hippos as they watch you from the cool water. First day of riding done. Your first impressions. The Zebra, Gazelle and Warthogs. Wake up in Simba Lodge with views of hippos in Lake Naivasha and giraffes at the window. The day ends in the vibrant city of Nakuru. The fourth largest city in Kenya – it’s gentrified around the edges and undeniably cosmopolitan. Pause to sample the best of Kenyan food with your fellow riders. The energy of a Kenyan city. 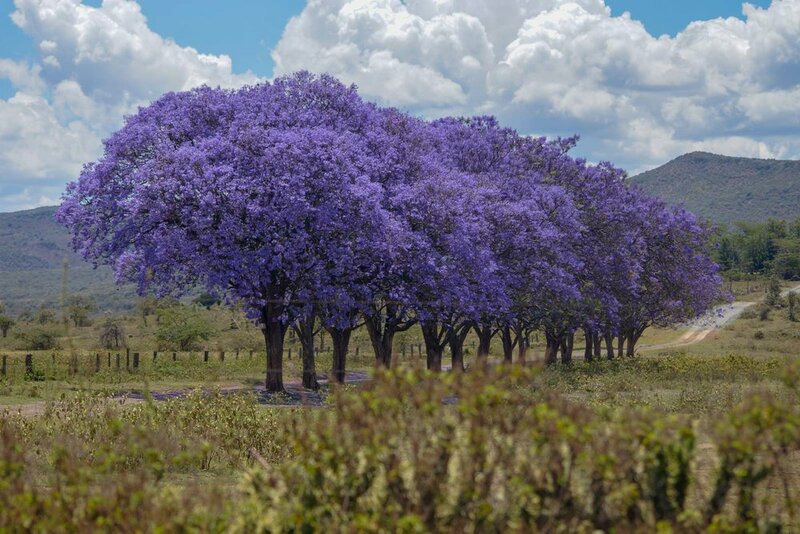 Waving goodbye to the locals as you head on – the sound of the city fading into the crash of rhinoceros as you head deep into the National Park. This is a bird watcher’s paradise. From your bike you can witness – undisturbed – a squadron of pelicans, a siege of herons, a flamboyance of flamingos. You pause at Thompson Falls, over 70m in height… your body is tired but your heart soars. The hot lake and its majestic residents. You’ll earn those donations as you ride high along the equator. Your legs might be burning but at least at an altitude of 2000m, the air is cool here. Your blood thunders in your ears. You take a well needed lunch stop at Giraffe Ark Game Lodge. As the mist and the trees clear, you end up face to face with a troop of ostriches… you can’t help but envy their muscular legs. Just one more day of intense cycling to go. The feeling that you’ve earned it. As a rider, you’ll know the unspoilt beauty of the unbeaten track. As you skirt Mount Kenya you’ll gaze out over jagged peaks and rolling views. 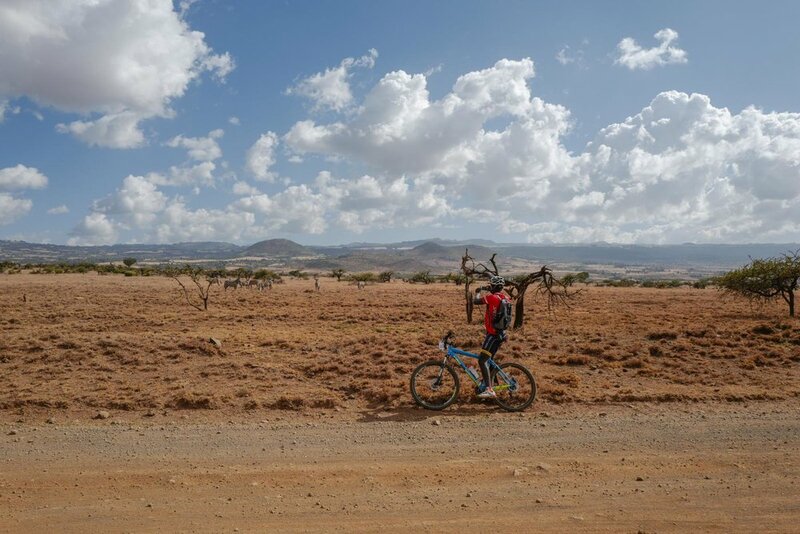 Nearing the end of your journey, you discover the true meaning of achievement as you enter Lewa Wildlife Conservancy together on your bikes. Who will be first to spot the big five? Unparalleled nature and the friends you’ve made. A dazzle of zebras still have the power to amaze you, but the final day of the ride brings another perspective. Meet the women of Meru, and talk to the people who will use your fundraising money to create pregnancy support groups for mums living in this isolated community. Chat to the local women about their experiences of pregnancy and motherhood. After 5 days of cycling, you’ll still find the energy to celebrate with your new pack of friends – nobody puts on a welcome like the women of rural Meru. The pregnancy support groups that your donations are funding. Please note: The above route is subject to change based upon weather conditions and your safety. We ride through national parks. 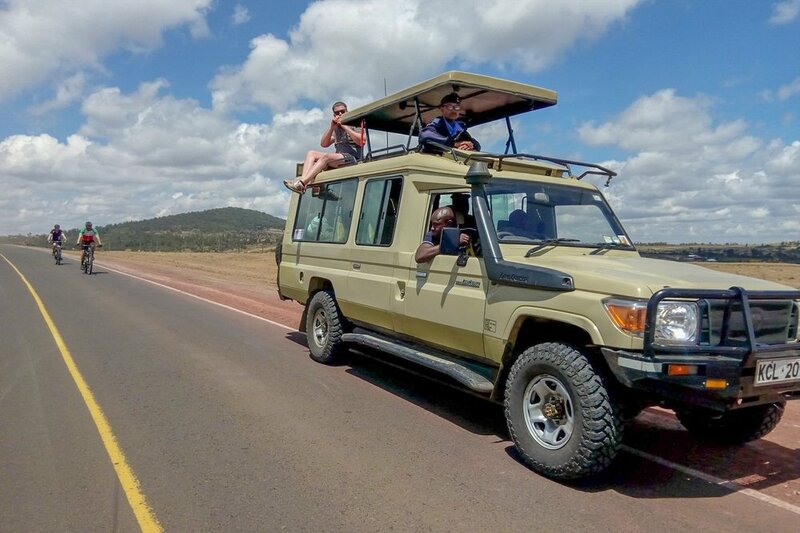 We ride alongside the Kenyan wildlife. We pause at the equator. We ride on dirt, gravel and road. We ride high, and the views are absolutely worth the leg burn. Ride Africa directly supports Child.org and their belief that every child deserves and equal opportunity. Working on many programmes to support children and mothers across Kenya and Ghana – you can be rest assured that your entry fee and any fundraising, is going to good use. We always have multiple staff from Child.org on the ride with you. Francine (pictured here) is your main support and go-to throughout your adventure. Don’t underestimate how much support you will feel from your fellow riders. Not only will you form lifetime friendships – you’ll pick each other up, offer many an encouragement, and genuinely look out for one another. We have a substantial team travelling with you at all times. If you get a puncture, if you’re struggling… they’ll know it and be on hand to help you, and take care of our bike. Our support vehicles will always be within the convoy of riders, looking out for anything ahead and behind. And hey… if you just can’t manage a hill or are feeling worse for wear, you can hop right in. Ashleigh is well loved by ALL who take on the Ride Africa challenge. Whether she’s patching up your scrapes, or offering you one of her amazing sports massages to ease that cramp – she’ll be there for you. We always have local police with us to ensure we’re covered in absolutely any and all circumstances. It certainly helps keep any traffic on their best behaviour! …and everything else related to the Ride. The only thing that is not included in your entry fee, is your flights and alcoholic drinks along the way. You are responsible for getting yourself to and from Nairobi airport, whether you're flying in or coming from somewhere more local. Once you've signed up, Francine will be on hand to help you decide which flight and the best time to arrive in the country. Don't worry, we'll look after you.